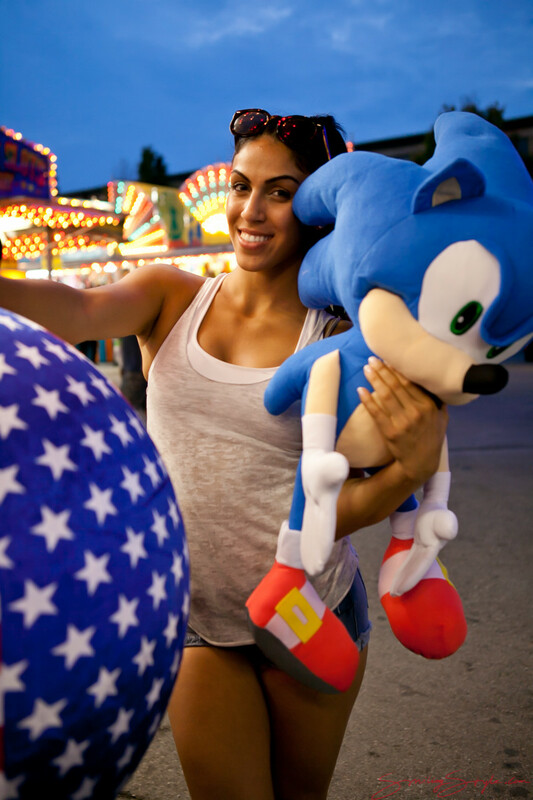 I´m sure you agree that Sonic the Hedgehog never looked so good… but who wouldn´t with such a hottie! 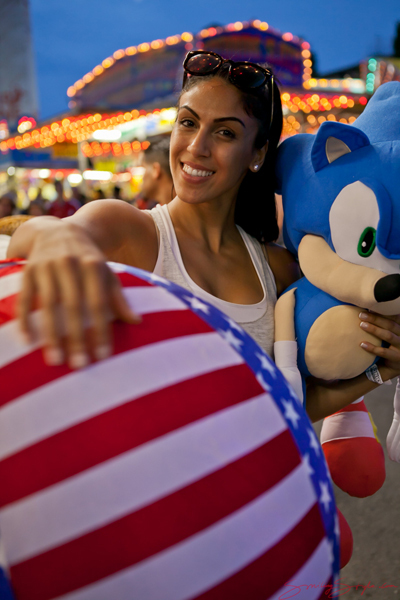 Jokes aside, I wanted to post these pics from CNE just to go back to a favorite of all times, the all-American girl outfit. Daisy dukes, a white top, and the red and blue stripes just go so well together. Also I like the layering, and the perfect length of the grey top. Very nice!